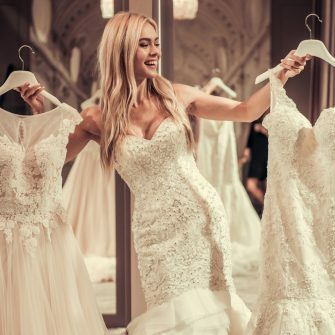 Award-winning bridesmaid brand Motee Maids is certainly proving popular with Irish brides as they partner with four new bridal boutiques. December sees award-winning bridesmaid brand Motee Maids double its presence across Ireland and Northern Ireland as it partners with four new independent boutiques, bringing the total number of stockists now up to eight. Complementing existing Irish partners Chantilly Lace, Beau Bride and Ellie & Dal, comes Memories Bridal Boutique in Cork and Dublin. In Northern Ireland, Creative Ideas Bridal in Armagh and Cookstown join Petticoat Lane Bridal Boutique and Seraphim Couture Bridal. Providing aspirational, luxurious and relaxed settings, each stockist will offer bridal parties a personalised and stress-free experience to help them through the process of creating a Motee Maids gown. Bridesmaids will have access to the full range of silhouettes and colours to try on as well as an extensive swatch book to help envisage the outfit options, ensuring a fully informed, fun and productive appointment. Motee Maids was established by Rosanna Garden to offer a totally customisable choice, not only of dress style and colour, but also delicate hand embellishment to ensure bridesmaids individually look the best they can. Now with over 1000 ultra-flattering styles to choose from, Motee Maids is fast becoming a much sought-after fashion brand for those seeking an overall look that beautifully combines glamour, elegance, style and simplicity. With an average recommended retail price of £235 per dress, Motee Maids offers absolute individuality at an affordable price point.